Sell jewelry to smiling customers by matching gems. Don't keep your customers waiting too long or they'll start to grumble. 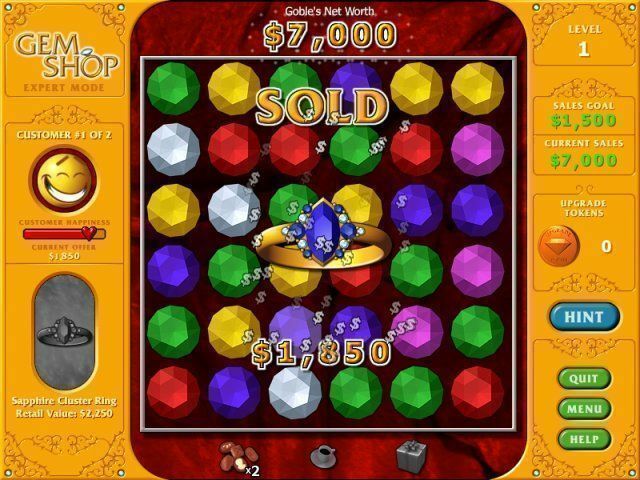 Happy customers spend big bucks and keep your gem shop open for business! 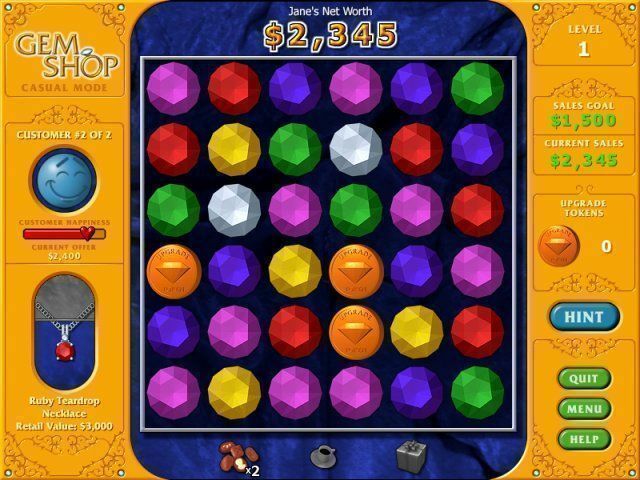 Match colorful gems and keep the customers happy! Sell gems and jewelry to smiling customers, but watch out--keep them waiting too long and they'll start to grumble. You'll need to give them a special treat to keep them happy and get the sale! 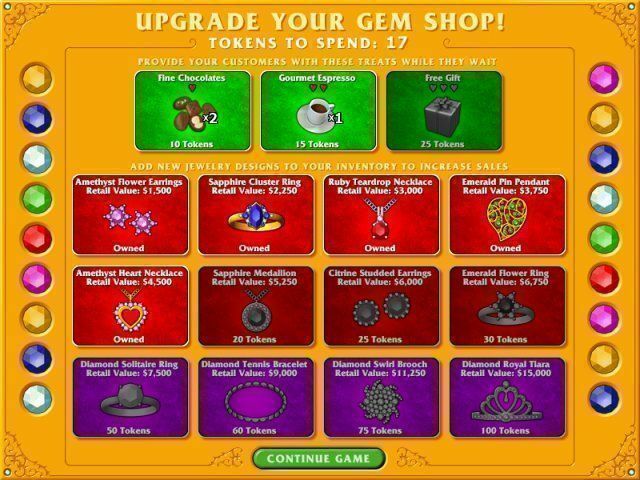 Happy customers spend big bucks and keep your gem shop open for business!